George E. Walsh was an American author, known particularly for his large number of children’s books for different age groups. Bumper the White Rabbit and His Friends is part of the Twilight Animal Series, a collection of stories for children aged four-10, featuring such characters as Buster the Brown Bear, Bobby Grey Squirrel, and White Tail the Deer. In this collection, fire has come to the woods and animals must flee for their lives. After the fire, the animals must find new homes. Bumper sets out to help everyone find new homes and lead peaceful lives. 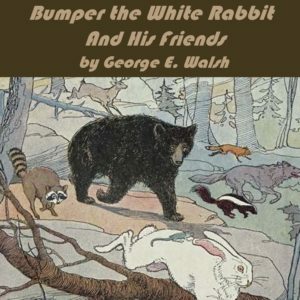 Bumper the White Rabbit and His Friends is a sequel to Bumper the White Rabbit and Bumper the White Rabbit in the Woods, also available at Audible and Amazon.